[General description] Full length portrait of William Townsend standing next to an ornate writing table. He is wearing a grey morning suit with tails, his hair is parted down the middle and he has a trimmed beard. 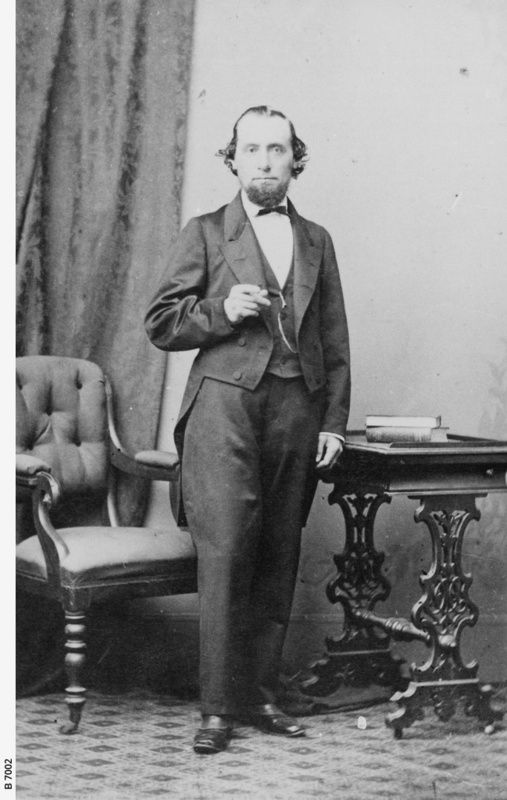 He was a leading auctioneer, Mayor of Adelaide (1864-1866), Mayor of Unley (1878-1881) and a politician, starting his political career in 1857 when elected to the South Australia Legislative Assembly.